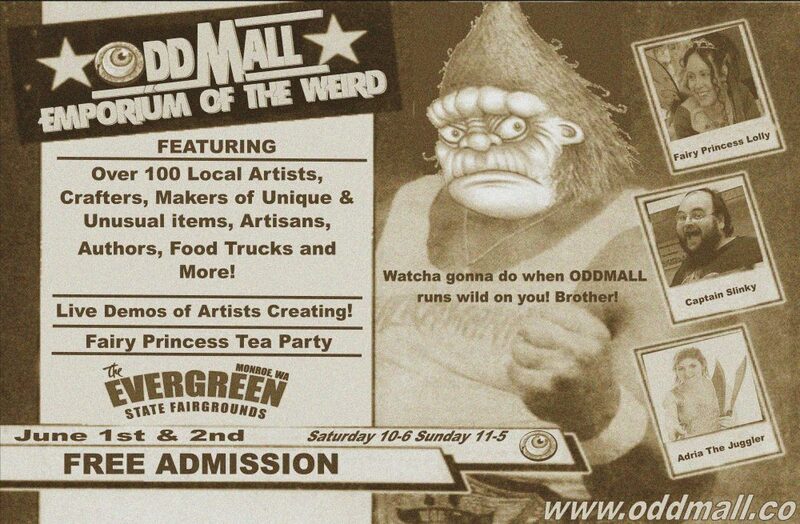 What an amazing first day of Oddmall yesterday in Everett! Our vendors are busy re-stocking and can’t wait to see your smiling faces today from 11-6! Be sure to make time for our entertainers too! The entertainment is located in front of the restaurant just off the lobby.